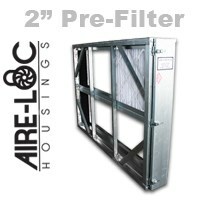 Flat-Bank Housing 2 Inch Pre-Filter | Air Filters, Inc.
Aire-Loc ™ Single Flat Bank 2-Inch Pre-Filter Housings are designed to hold a single stage of filtration. 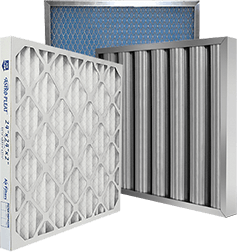 Supplied with 1-Inch flanges on the entering and exitng sides of the housing for easy installation to duct and air hadeling systems. Access Doors are fully gasketed around the perimeter with a closed cell neoprene gasket to ensure an air tight seal when closed.